Just came on Instagram ads and ordered one. 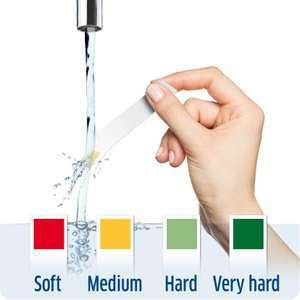 Free water hardness test strip. Received mine last week. Yes they. Here Brita is trying to sell their filter system which if you test the filtered water with the tap water side by side they say you should see the difference. Are you sure? I’d reckon a big of Napalm or gravel rash would be worse. Thank you. I never knew there was somewhere for them to be recycled. Will take to Argos in future . Good to know that these can be recycled. Is it water you don't mess with? Do you know what hard water is? I wonder whether this will tell me if I need a Brita jug or not. Not a great service, took two attempts and over 3 months to get spares. I've filled out the free part form twice from Brita when it's been on offer &amp; not once have I received anything. All I needed was the the tiny cover on the pouring spout as I had sucked it up into the vacuum cleaner. just wasted time registering and find out you need a receipt...lost that years ago! Not a hot deal :-( free parts under 2 year warranty and need a proof of purchase. Just like all other manufacturers - they more than happy to help under warranty, was a nice thought to think that they would just ship out random free parts but nobody does that these days. I would trust Tyent ioniser. Two filters get rid of 99.9% of contamination. They are being sold on Amazon, but are the cheapest on eBay. Yes this is true. People even live longer in hard water areas! However personally I would rather supplement for this and avoid the fluoride and chlorine and the Zero Water filtered water tastes fantastic, for tea and coffee and on it's own. Yes the filters are expensive (not quite 2 for 50 I think) but they should last over 2 months each for me and they actually work. I mean if you're filtering your water you may as well get an actually effective filter? I didn't do all the research there may well be more cost effective measures out there. The US of A seems to get many more and better options. free replacement parts when you have bought a brita filter and register. as long as they still sell it you can get replaced for free. Thanks OP. I just ordered a new lid for my Fill &amp; Go Bottle. Didn't even need a serial number. Where do you write the serial number of your device. I can't find it anywhere on the website. I do hope that wasn't aimed at me! I have to buy a new jug every 18mnths because of limescale. Not dirt, limescale! I clean my jugs every time I change a filter and the lid more regularly. We live in a very hard water area and scale will build up around the lid flaps very quickly. It's the reason we have the filter, to help reduce scale in our kettle. I can't soak the lid in vinegar or de-scaling solution as it will then wreck the counter, so how do you suggest I get the scale off? I have only ever used to replace parts not working properly. I think it's a fantastic service and this is y I don't mind paying for the filters. Keep up the good work. Yes. I was forever changing my Nan's filter when I visited, plus a button battery. We stopped bothering when she ran out of filters. Yep, you can get them cheaper at around £40 but it's still a lot of money and I'm not convinced it's any better than unfiltered tap water ? There's been quite a few before Just like surveys they're selecting people who fit their criteria. Previous trials I've successfully taken part in, Taylor Swift Party Just Dance Party Miranda party at gym etc. Yeah sometimes I'm not selected so it can be hit and miss like Bzz agent or The insider trials, you can only try. Comment Says zero places left...? Looks like Brita will no longer replace any parts unless you have original purchase slip. 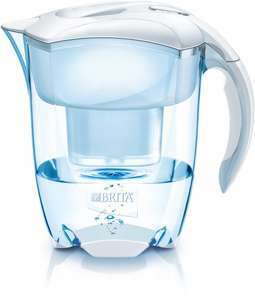 I have a Brita Optimax that always had problems with the tap and had to keep tightening till one day the plastic broke. They will not help even though this is only 4 months as I don't have purchase slip as this was a gift. I had a Brita jug in the past that had a damaged beak and they promptly replaced with no questions asked, so I guess there policies and customer service has changed. BRITA offer a customer spare parts service which is a voluntary service of BRITA GmbH. 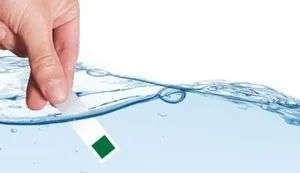 The distribution of spare parts is at the discretion of BRITA customer service and is subject to availability and proof of purchase. There is no legal claim to the provision of spare parts to the customer. If only I had found this deal earlier! yes they seem pretty good, just ordered so I'll see how good they are myself. £44.95 for me. Still, a good deal - so I ordered one! BRITA Fjord Cool White Water Filter Jug £10 at Morissons. Saw the filter jug instore in a stand next to the freezer section for 10 pounds, seems the best price I've seen for one of these! Got one this morning before i saw this. Fjord 2.6lt with a free cartridge. 1 left i took it. not sure more stock comes or not. Very happy with it. BTW store at Basingstoke Road Reading RG2 0HB. This is a great deal, got one. There's an added bonus, the Fjord is 2.6 lt, compared to the other same sized models that are 2.4 lt.
Brita are giving away free hard water testing strips on their website. Just fill in your details to get yours. I tried the link and the form works fine for me, I've already had a strip though so I've no need to apply again. 'This service is temporarily not available' ? Surely you know if you live in a hard water area? A good strip tends to get me hard. The offer is still valid. You get another cartridge in the box with the tap aswell as those that you purchase so the tap is effectively "free". Great deal - thanks OP. Hi, is this offer still valid or is there a newer and better offer now? would like to know also... Also, how much space under the sink are we talking? !